A typical project for a Scout to do as he works to obtain his Eagle rank is to paint fire hydrants. But that can be difficult if you don’t know where the hydrants are located, as Nathaniel Benham of Boy Scout Troop 443 knows. Eagle Scout is the highest rank obtainable in the Boy Scouts of America program. The requirements include earning at least 21 merit badges, demonstrating Scout Spirit and demonstrating leadership in the troop. A Scout must plan, develop and lead a service project that benefits a non-profit organization and/or the community. As Nathaniel sought ideas for his Eagle project he asked the St. Maries Fire Protection District if he could paint hydrants. 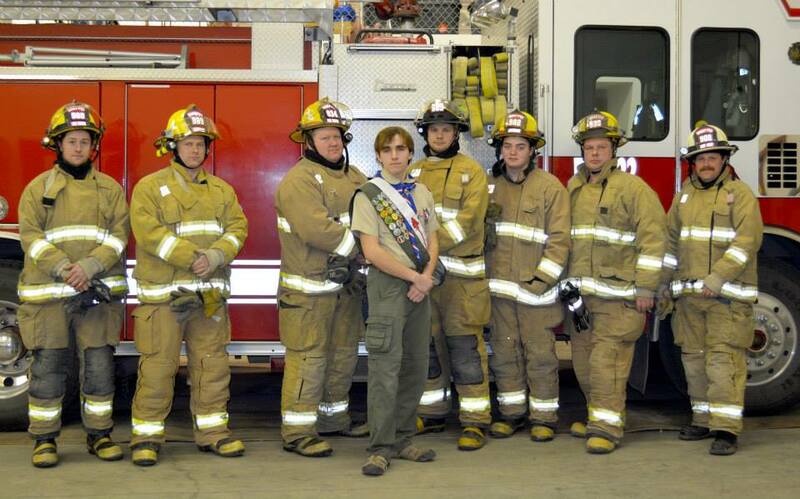 The St. Maries Fire Department honored Scout Nathaniel Benham at its training Jan. 15. Nathaniel mapped locations of fire hydrants for the department. Realizing the fire hydrants would need to be located before they could ever be painted, Nathaniel decided his Eagle project would be one of cartography. Nathaniel created an electronic map that compiled the data he collected into one document for the fire department. 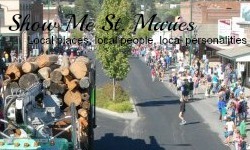 He located 132 hydrants throughout St. Maries. During the project, Nathaniel was in charge of a crew of about 20 people who helped him with his project. Working with Dave Canning from the Forest Service, Nathaniel was able to print a full-size map for the department to have at the station. Nathaniel is the son of Yvette and Curtis Benham. He is a senior at St. Maries High School and has been a Scout for 10 years, beginning his scouting career overseas in Japan. He is the second in his family to obtain the Eagle rank. Nathaniel is a member of the Order of the Arrow, a special group for Boy Scouts and participates in the St. Maries High School drama club and St. Maries High School choir. He has also been named to the National Honor Society.